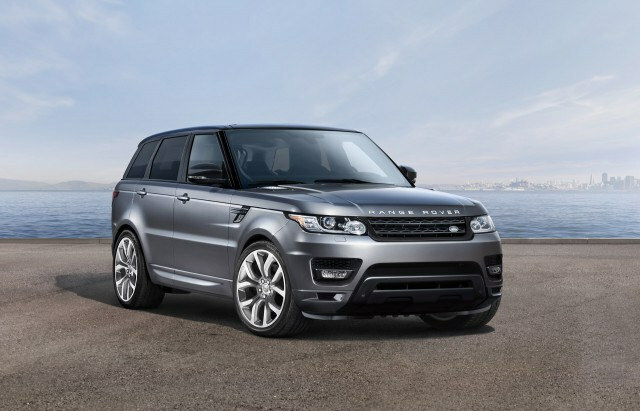 The Range Rover Sport is one of the best luxury SUVs on the market today. The automobile handles similar to a sports-car, and the vehicle has above average off-road capability. The stock engine for the Sport is a supercharged 3.0 liter six-cylinder rated at 340 horsepower coupled to an eight-speed automatic transmission and all-wheel drive. Consumers can also choose to change the drivetrain to a 3.0 liter turbodiesel six-cylinder rated at 440 lb-ft of torque and 254 horsepower when buying the auto new. The SUV can eat up to seven passengers, and allows the driver to reconfigure the seating in the vehicle to maximize cargo stowage. The overall gas mileage of the auto is 22 MPG (city) and 28 MPG (highway). The Sport has a top overall speed of 130 MPH, and the vehicle can go from zero to 60 MPH in 7.1 seconds.